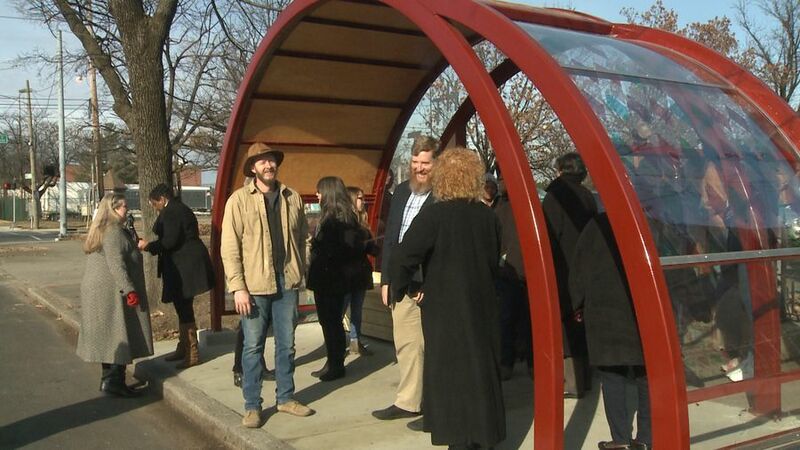 A new and improved bus shelter is popping up in the Russell neighborhood. The SmART Stop bus shelter was unveiled Friday morning in front of St. Peter’s United Church of Christ. The design features colorful acrylic pieces echoing the church’s stained glass windows. The new bus stop is part of the ongoing efforts for revitalize the historic community. “It was once called the Harlem of the south because of all of the great restaurants, retail and businesses here; all primarily black-owned businesses and urban renewal, redlining, much of those kind of systemic institutionalized policies too many based in racism eradicated much of that. We can’t control that past, but we sure can control today and tomorrow. So we’re bringing back Russell to the grandeur that it once had,” said Louisville Mayor Greg Fischer. This stop is the third SmART Stop shelter in the Russell Neighborhood. Two more are expected to be completed this spring.